Join us May 11th, 2019, 7:30 pm at the historic landmark Ogden High School auditorium for a free show celebrating jazz arts featuring Katrina Cannon’s fantastic vocals, Jay Lawrence on vibraphone, and special guest Don Keipp on percussion and sharing the drum chair with the fabulous Joe Shaw and the Night Star Jazz Orchestra. The program will feature numbers from the Terry Gibbs Dream Band and arrangements for Milt Jackson by John Clayton showcasing Jay Lawrence on vibes along with Katrina’s exceptional numbers with charts arranged by Geoffrey Keezer, Gordon Goodwin and John Clayton. The Night Star Jazz Orchestra will be performing wide range of music from ballads to burnin’ swing numbers for an evening celebrating jazz and arts education with members of the Ogden High School jazz band. Admission to the event is free of charge. 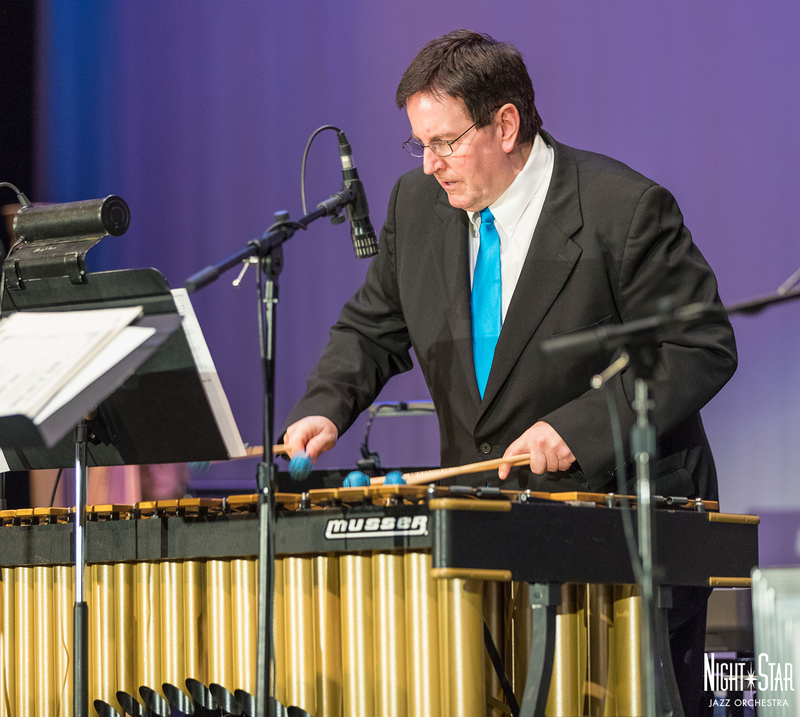 As part of the evening, we’ll be hosting a fundraiser for those that wish to participate to help Ogden High School Director of Bands, Stan Renda raise funds towards the purchase of a new professional marimba, which can cost upwards of $15,000, for his blossoming percussion and jazz education program. Donations toward the purchase of the new marimba can be made directly to the school at the door or prior by contacting Mr. Renda at rendas@ogdensd.org. The Night Star Jazz Orchestra presents the Jazz Arts Celebration in conjunction with Jazz At the Station as part of a week of jazz arts education with multiple events happening in Ogden during the week. On May 10th the Heritage Jazz Festival will be taking place from 1 pm to 9 pm with multiple school ensembles at Ogden’s Union Station, culminating with the Night Star Jazz Orchestra May 11th. Also happening in Ogden and throughout Northern Utah that weekend, is the “Spike 150” celebration the 150-year anniversary of the Golden Spike ceremony in Utah, commemorating the completion of the transcontinental railroad in America 150 years ago. A day of jazz is a perfect companion to the events happening throughout Ogden to celebrate the connection of East and West with America’s unique gift to the world that is the art of jazz. 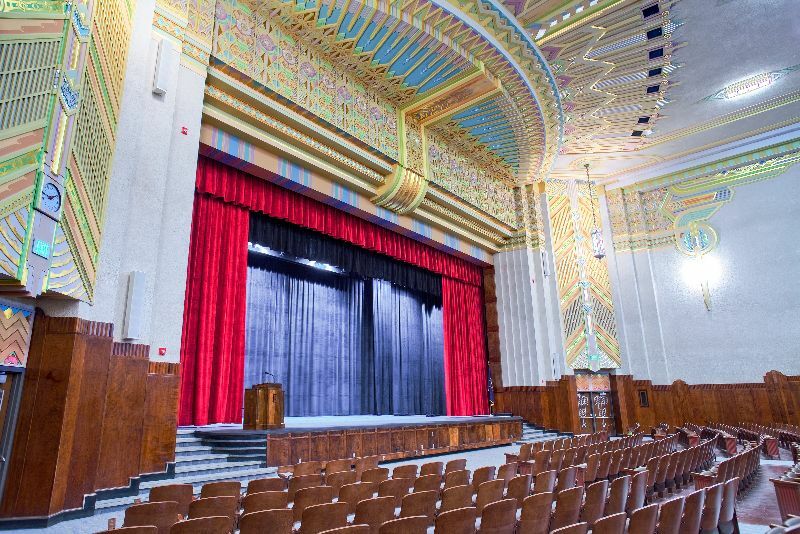 The venue for the concert is Ogden High School’s crown jewel auditorium, originally built as part of the WPA program in the 1930’s. The Art Deco school building is a true landmark of Ogden and was restored as part of a community effort to save the building. The event is generously sponsored in part by the Jazz Education Network Jazz2U grant. Summerhays Music Center has generously offered to facilitate the purchase of the new marimba, donating shipping and delivery of the new instrument to the school. We’re opening up auditions for our Vox Nuvo group for both the tenor and bass male vocal chairs. We had a great 2018 s eason and we’re looking for the next incarnation of Vox Nuvo to hit the ground running. For the auditions we’ll be looking for both tenor and bass male vocalists who have proficiency with jazz and singing tight harmonies. If you’d like to join us for this upcoming season contact info@nightstarjazzorchestra.com and we’ll send you the audition materials and instructions. The Night Star Jazz Orchestra is exited to announce two new vocal acts for 2018. 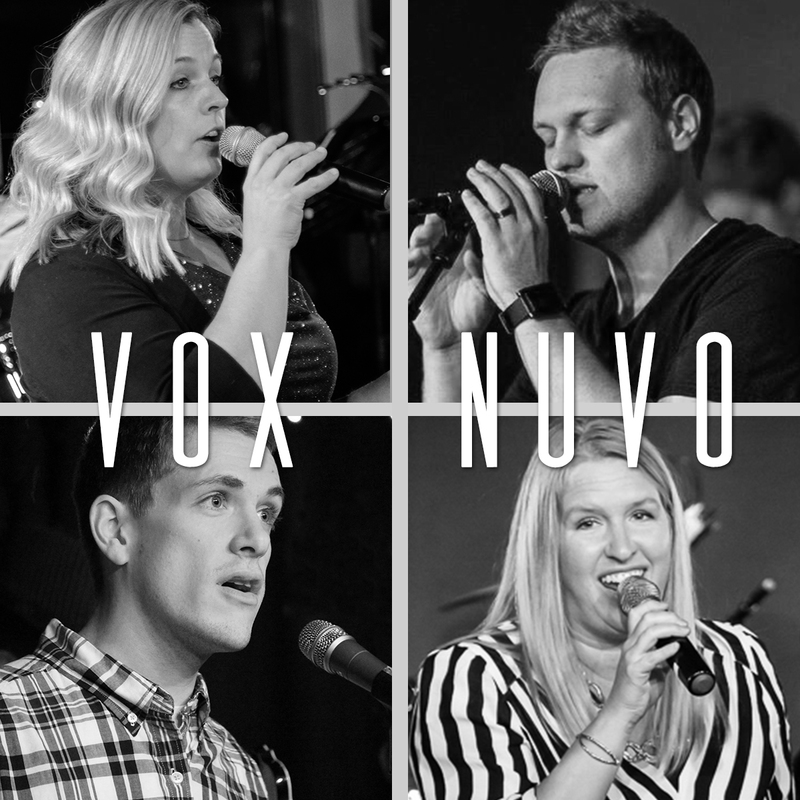 Vox Nuvo is a new jazz vocal quartet singing with the orchestra this year comprised of Katrina Cannon (alto), Lisa Dengg (soprano), James Densley (tenor) and Tanner Linton (bass). 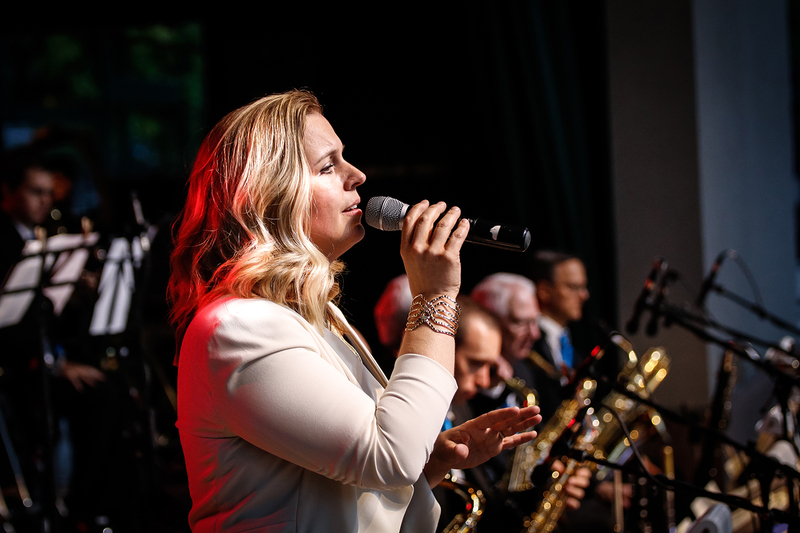 The quartet brings the modern sounds of the New York Voices and the classic tunes of the big band era to the stage with the Night Star Jazz Orchestra. Vox Nuvo’s tight harmonies and swingin’ groove will get you moving out of your seat and on to the dance floor. Tom Young joins us this year as our featured male vocalist. Tom has studied with jazz greats such as New Orleans natives Harry Connick, Jr and Wynton Marsalis. For the last ten plus years Tom has performed all over the world aboard major cruise lines, lived and worked heavily in Las Vegas, as well as traveled with some of the country’s premiere party bands. 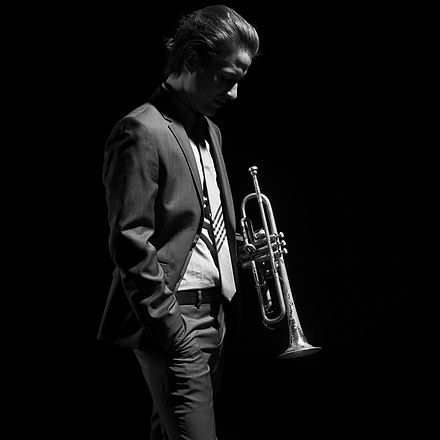 His sound is smooth and reminiscent of Chet Baker and Harry Connick, Jr. We’re happy to have Tom singing and performing on trumpet with the band. Don’t miss these new voices with the Night Star Jazz Orchestra this year. We’re available to book shows that feature all of our vocal talent with a vocal jazz quartet, Andrews Sisters style trio and great solo vocalists for a stunning show you won’t forget. We would like to thank all the students who submitted charts to the composition award program this year. Each chart has specific strengths and demonstrated that each student is willing to take risks and is advancing in their studies. The strength of the submissions for our inaugural year was very impressive. We’re exited to announce the first (hopefully annual!) student composition program sponsored by the Night Star Jazz Orchestra. We are opening applications for students in jazz composition to submit new and existing works produced while in school to be performed by the Night Star Jazz Orchestra. This year we are offering two awards of $250 each. We’re committed to helping jazz composition students bring their works to the community. While the funding isn’t very large it is an opportunity to work with other music professionals and to hone your composition and arranging skills. We will be accepting applications for this year until Dec 5th, 2017. Awards will be announced by Dec 15th, 2017. Your work will be chosen by a committee of educators and professionals from the Night Star Jazz Orchestra. Undergraduate seniors and masters students are encouraged to apply. The orchestration for the works should be 5 woodwinds, 4 trombones, 5 trumpets, 4 rhythm. Works that include vibraphone are also accepted. Works with alternate orchestrations will be accepted but standard orchestrations are encouraged. Vocal compositions and arrangements (male tenor or female alto) are also accepted. Utah residents will be given preference but the program is open to all students at accredited Universities in the USA. (We’d like to have you there when your work is performed!) We’ll be planning a performance date in early 2018 to show off your work.